Footnote.com recently released the first 1,400 images of the War of 1812 pension files, as part of its partnership with the Federation of Genealogical Societies and the National Archives. (You can read the full announcement here.) As promised, these images are free — no subscription required! What’s so great about War of 1812 pension files? They can contain details not only of the veteran’s service, but his marriages, children, residences, and more. I decided to pick a random War of 1812 pension file and see what all I could glean from it. Veteran: James Abbott of Ohio. You’ll notice on this page that many of the details contained in the file have been summarized. (No, I didn’t read this page and then choose him for my subject!) Even if the pension file you’re interested in has a summary page like this, read the entire file. You never know what else is in there (or what mistakes might have been made when that summary sheet was created). 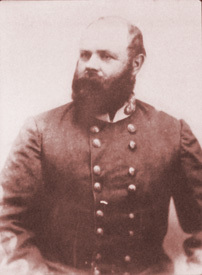 Died: 14 October 1874 (page 8) at Delaware County, Indiana (page 21). See also page 52. See what a great resource War of 1812 pension files are?! These pension files, which had never even been microfilmed before, are being digitized thanks to the Preserve the Pensions project. This project seeks to raise $3.7 million to digitize and post online the 7.2 million pages of War of 1812 pension files. You can help! Each dollar donated will digitize two images. Please visit the Preserve the Pensions page for more information. Preserve the Pensions is also on Facebook and on Twitter. That a 5% cut on top of the cut public libraries have already taken. Note how the last sentence is phrased: “This proposal would result in an additional $68.5 million and $95.0 million deposited into the GRF (General Revenue Fund) in fiscal years 2012 and 2013, respectively.” That $163.5 million that is not going to Ohio’s public libraries. Note: the budget book linked to above is a 15 Mb PDF. 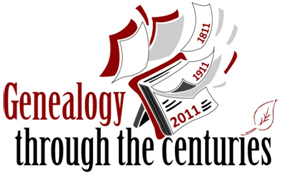 The Ohio Genealogical Society’s 2011 annual conference is fast approaching: 31 March – 2 April in Columbus. Also fast approaching is the deadline to get the early discount — Monday, 14 March. Each of those registration costs go up $20 after 14 March. On Friday, 1 April I will be speaking on “After Mustering Out: Researching Civil War Veterans.” (No fooling!) It’s one of my favorite topics; I’m really looking forward to it.